I am not that geeky techie person but I am reasonably certain that some of you here want to know how to transfer a video from your Facebook to your YouTube Channel Account. I will give you a simple tutorial that is very easy to follow, which I've happened to learn from my own searching. 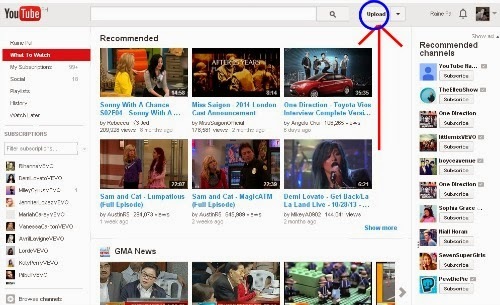 You need to have a YouTube Account first. 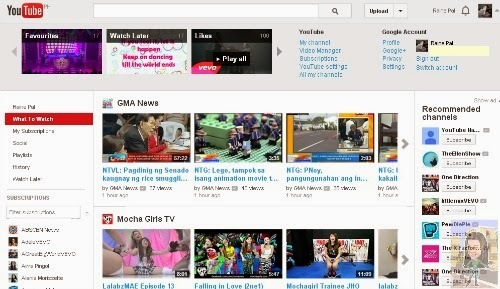 Here I am using my Google Account as my YouTube Account. 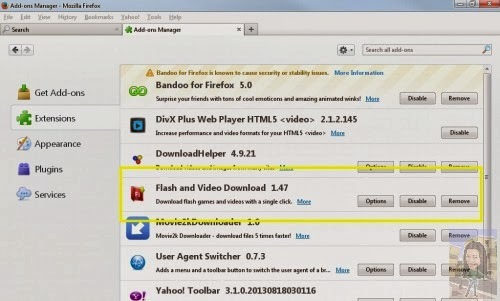 Make sure you are using a Mozilla Firefox so that you can download exactly the add-ons. 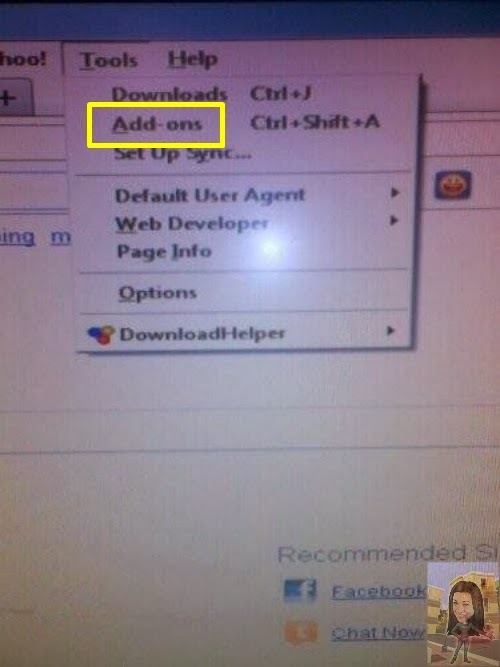 You will be automatically directed to the the Add-ons Manager. 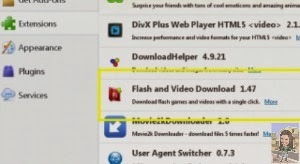 Click EXTENSIONS and you will see FLASH and VIDEO DOWNLOAD. Click download. 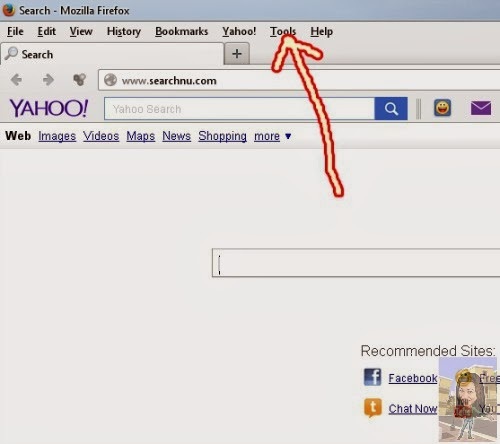 After you downloaded it, it will promptly indicate on the upper left corner of your browser. Then go back to the Add-ons Manager, click OPTIONS. 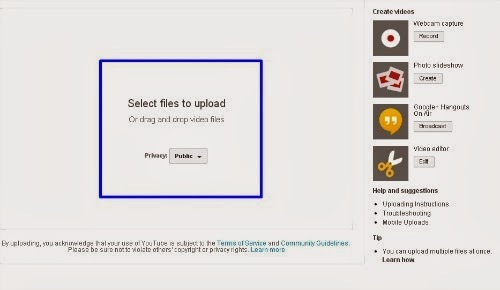 And you are now ready to transfer a video from Facebook to your YouTube Channel. Go to your FACEBOOK ACCOUNT. Choose a video (make sure you own the video or you have the permission to use the video). 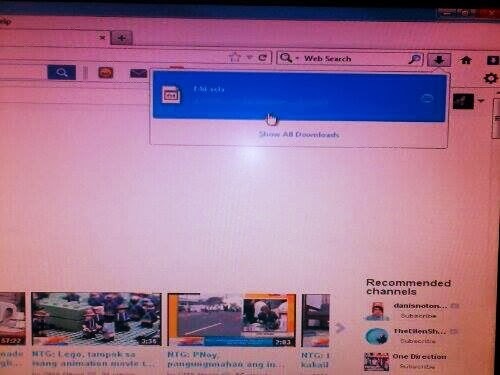 I choose this video, to be downloaded to my YouTube channel. 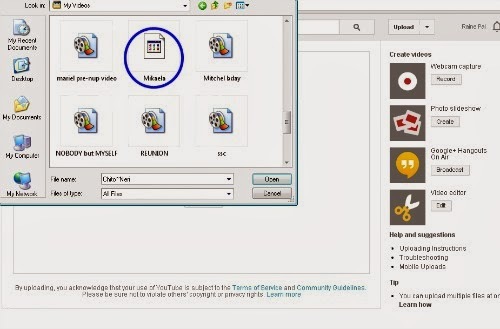 You are ask to name your video and save it to your video file. Once you are done saving it, you are going to go over the video if the video you downloaded is correct. 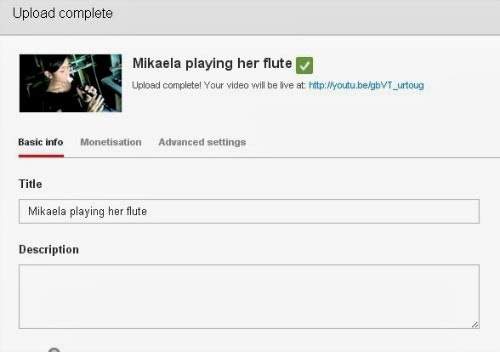 My video is correct and ready to be uploaded on my YouTube Channel. You are prompt to select files. You have to select the video you wanted to transfer to YouTube. Click OPEN to download your file. See? Very easy, I tell you. All you need is to follow the instructions very well. 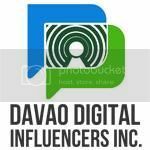 This really helps bring your video into a wider audience of you tube and also allows you some privacy in your facebook account. I need this one, really, I'll do it next week, with my spare time. Thanks a lot for this tutorial. Really, I need this tutorial for a long time, and you posted it here. thanks a lot Pal! This is a great tutorial! Clear and concise and can be followed even by non-techies. Thanks for this post. Thank you for this! I am all new to videos so I will take all the help I can get! Never Knew Thankyou For The Helpful Info! !